As mandated by the U.S. Constitution, the federal government must count its entire population—citizens and noncitizens—once each decade. The data collected through the census determines how more than $675 billion in federal funds will be allocated in education grants, Medicare and transportation, among other vital areas. Census data also impacts the number of congressional seats each state may receive and the number of votes in the Electoral College used to elect the president of the United States. The data is also used on a state and local level to redistrict state legislative districts, allocate state resources and reshape local policy priorities. What’s New About the 2020 Census? Data will be collected by phone and paper surveys, but in 2020 there will be a new emphasis on online responses. The bureau has announced upgrades to its mobile technology, geospatial innovations, and Internet self-response capabilities. Historically, the census provides consistent and high-quality data on the population—and business and industry use this data to decide where to build, invest and employ individuals. It will be very important to see how the change in the collection instruments impacts economic and business decisions. Are There Any Challenges with the 2020 Census? 1. Funding and Staffing. In 2014, Congress limited the funding of the 2020 Census to the costs of the 2010 Census without adjusting for inflation. In light of the 2020 Census budget constraints while also embracing technology, the Department of Commerce is replacing thousands of temporary census workers with online capabilities and technological tools. In 2017, the Census Bureau funding was reduced by 10 percent; in 2018, funding remained flat. The director of the Census Bureau resigned in May 2018. 2. Testing. The new census tools have not been fully tested, so it remains unknown whether the Spanish-language census and the rural-area population counts will yield accurate data. 3. Citizenship Question. The administration wishes to include a question on citizenship on the 2020 Census. The question, if adopted, threatens to dissuade individuals who may not have legal citizenship from responding. The Census Bureau is legally required to protect the privacy of all census data from requests by anyone, including government officials, and it is forbidden by law to pass information about citizenship status on to the government agencies that deport people. 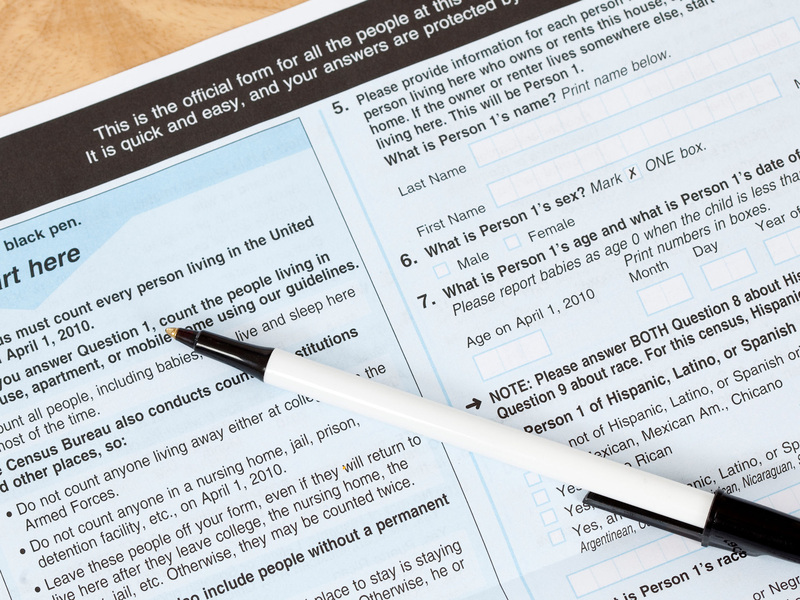 Unsurprisingly, many people remain skeptical and avoid answering the census out of fear that other government agencies will access their information. A federal judge ruled against the citizenship question. As a result, the administration is now urging the U.S. Supreme Court to rule on the matter expeditiously, so that the census questions can be established by a June 2019 deadline. Remember, it is critical that everyone be counted for the Census. Efforts to intimidate or suppress the total resident population should not be tolerated. When Will the 2020 Census Data Collection Begin, and How Can We Be Involved? April 1, 2020, is the start date for 2020 Census data collection. But the groundwork for success starts far before then. The time to prepare for the 2020 Census is right now. Building our communities’ knowledge about the census is vitally important. The government shutdown and lapses in federal funding threaten to delay the rollout of the census as planned. Given the uncertainty, The Links, Incorporated wants to highlight the 2020 Census to our members NOW. We urge chapters to begin thinking about civic engagement and activities around the 2020 Census. The Links, Incorporated is exploring new partnerships, toolkits, and resources to help ensure every individual is counted. We will pass along suggested materials as they become available. Here are a few ways the Census Bureau recommends to get involved. Sign up for updates on new resources and opportunities to partner with the U.S. Census Bureau. Host a workshop to develop solutions to 2020 Census challenges in your community and generate commitments to tackle them. Start or participate in a State Complete Count Commission or a Complete Count Committee to encourage census participation in your community. Become a census worker. Open positions include census takers, recruiting assistants, office staff and supervisory staff.